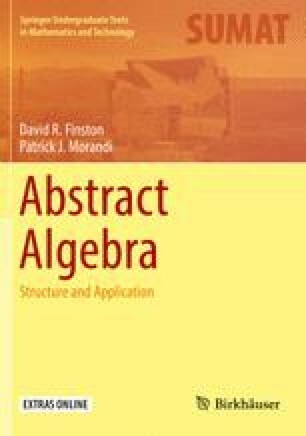 The application of group theory to cryptography discussed in the previous chapter utilized abelian groups, i.e., groups whose operation satisfies the commutative property. Nonabelian groups have also found application in many areas including cryptography, chemistry, physics, and even in interior and exterior decorating (wallpaper patterns and frieze patterns, respectively) as we’ll see in the final chapter of this text. The present chapter develops some general structure theory of groups essential to these applications.